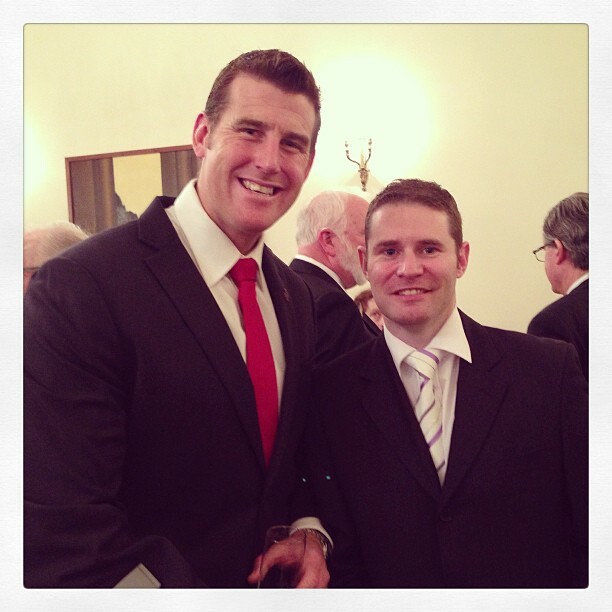 The White Cloud Foundation is a charity organisation devoted to helping people with mental illness. My great friend, Matthew Millhouse, was a strong believer in their work, so I was honoured to be asked to join in a ride with them. Much like the NAB Cup football or twenty20 cricket, this wasn't the real thing, but a prelude that allowed us to get some idea of how people would go in the main event next year. 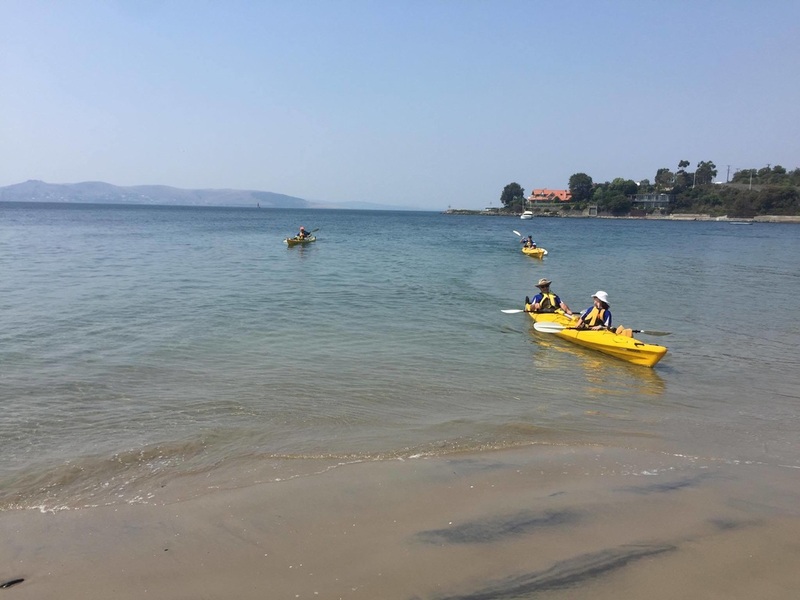 A group of cyclists, kayakers and runners each set off from Blackmans Bay taking different routes to finish in Sandy Bay at hopefully similar times. A bit like Will Hodgeman's 2010 election victory speech, my friend Prince Harry and I were a bit too early. We rolled up and down the beach a few times on our bikes until we found the spot everyone was meeting. In a short time there were a few dozen people clustered at the southern end of the beach making last minute adjustments. 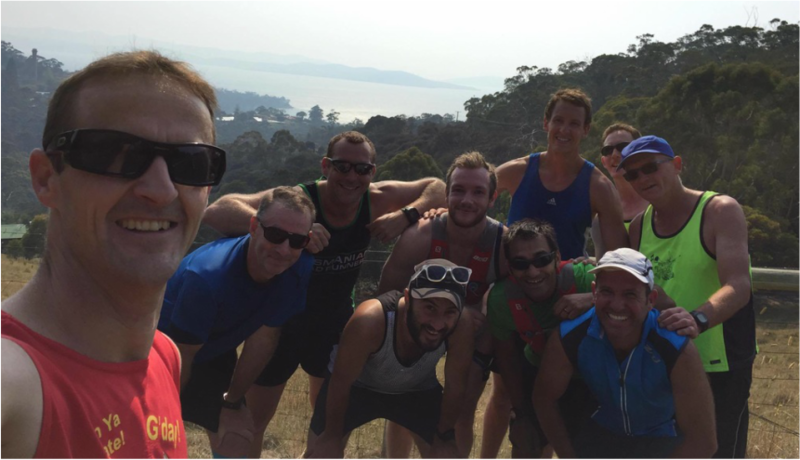 There was a large contingent of runners, led by Gene, who had called on his Hash House Harrier mates for help. I got the impression they were probably pretty good runners too, based mainly on the fact that most of them looked like they needed a few good meals (he says enviously). While I quite enjoy running myself, I had decided to bring my bike and join #Teamlycra, who would be taking a much longer route via the mountain. There were also five kayakers who were cheerfully pushing boats to the water's edge. Adam, the leader of the paddlers, had rather confidently suggested that heading straight up river with the tide, they had the easiest and most pleasant route. Beautiful as it is, most of the time I have been paddling off the Alum Cliffs or Taroona, there has been some degree of northerly wind that can make prolonged paddling harder than expected, so I wasn't entirely convinced. We had a quick group shot and headed off a bit before ten, hoping to all meet up for lunch between 1130 and 12. The runners were first to leave, jogging off easily and doing nothing to weaken my theory that they could all run faster than a hipster from gluten if the wanted to. They followed the esplanade to the other end of the beach before heading up to Roslyn Avenue and down to Kingston Beach. After Kingston comes the hardest part of the run, as the climb up Tyndall Road is pretty steep for the first kilometre. Once you hit the Channel Highway, it becomes a pretty straightforward run to town, with a gentle climb to the top of Bonnet Hill and then a gradual descent back down to Sandy Bay. I thought the likelihood of them running into problems was about as likely as Eric Abetz running into a progressive policy he liked, but just in case, Raylea was along in the support car. Teamlycra was the second group to head off. 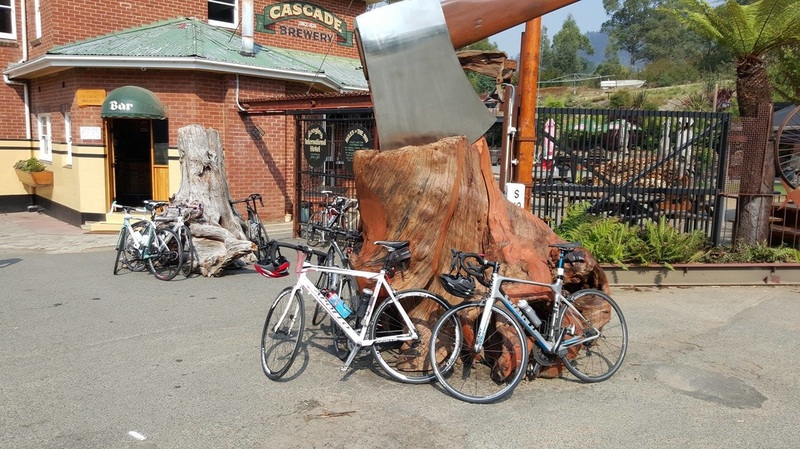 Although covering a similar route to one I have covered in more detail, we were actually riding further than I expected, which was one of those 'pleasant'surprises life sometimes throws at you (like making Barnaby Joyce our deputy PM). We headed south up a steep climb into Howden. This was actually my first experience riding with a group and although having so many people riding close to you took a bit of getting used to, I really enjoyed it. I chatted with different people as the ride went on and we shuffled our respective positions more often than Malcolm Turnbull's cabinet. 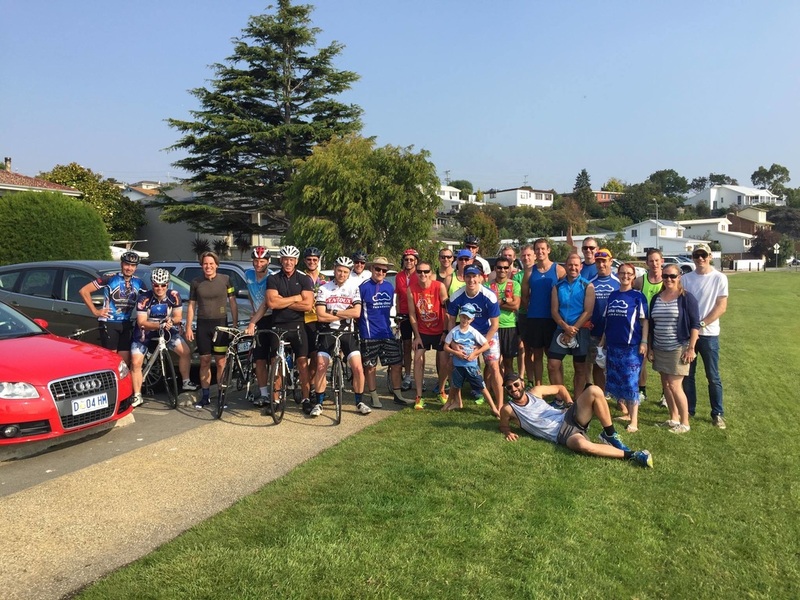 There was also a lot of support there, with the stronger riders in the group showing the sort of willingness to help out their mates that got Stuart Robert fired from the ministry. Whenever someone (usually me) dropped off the pace a little, someone else would drop back with them and check on them or provide slipstream to make the ride easier and help them catch up. After Howden, we cruised comfortably down to Margate before taking the turn to Sandfly. I hadn't actually been this way before so didn't realise how hilly this section would be, not that hills are ever a surprise riding around Hobart. 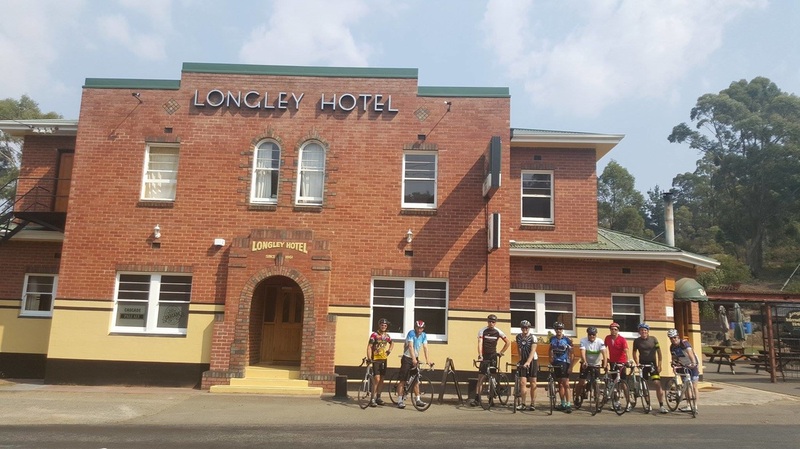 We crossed the southern outlet and stopped at the Longley Pub for a drink. Not stopping didn't really seam like an option- kind of like Kevin Rudd saying no to a selfie request. After A quick drink in the beer garden, we began the long climb to Neika. While perhaps the hardest part of the ride, it at least played to my strength so I wasn't lagging at the back of the pack, which made a nice change. (Kind of like when Tony Abbott takes his colleagues on a drinking bender). From the top of Neika we began the fast descent back to Hobart (well I thought I was fast- the rest of the guys were probably waiting for me at the bottom for some time. We reassembled at the top of Lynton Avenue, a very steep road that I don't enjoy riding down (or up). Still that was the route today and I figured that if the staff of Lady Cilento Hospital had the courage to risk their jobs to save children being sent back to offshore concentration camps, then I could ride down a hill. 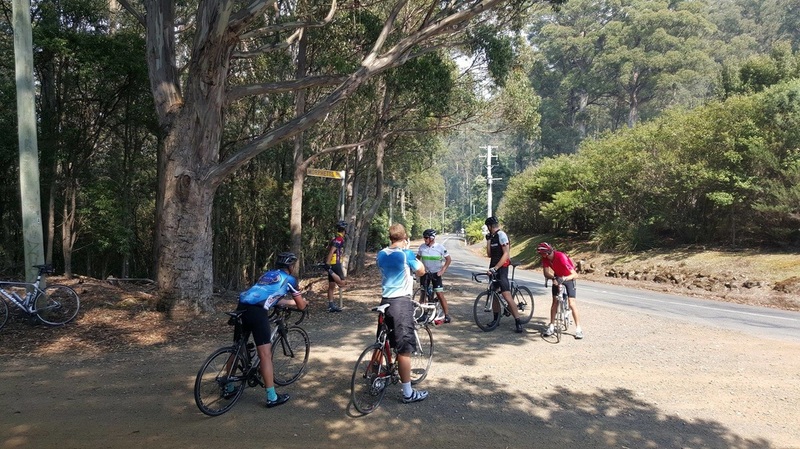 Despite my nerves, I once again got to the bottom of the hill safely and we finished our ride heading out along Sandy Bay Road and pulling in to the BBQ site near the beach. Including our stops the ride took most of two hours so the runners had well and truly finished by the time we got in. But the paddlers were nowhere to be seen. I wondered about riding further north to see how far they were, but then got distracted playing with my beautiful goddaughter, Eleanor. The paddle from Blackmans Bay to Kingston is particularly nice. You pass the blowhole and the surrounding cliffs. Kingston looks amazing from out in the water. The houses at the water's edge shrink relative to Mt Wellington rising behind them. After Kingston, come the impressive Alum Cliffs, which stretch for four or five kilometres before you reach Hinsby Beach and continue along the Taroona shoreline, eventually reaching Sandy Bay. 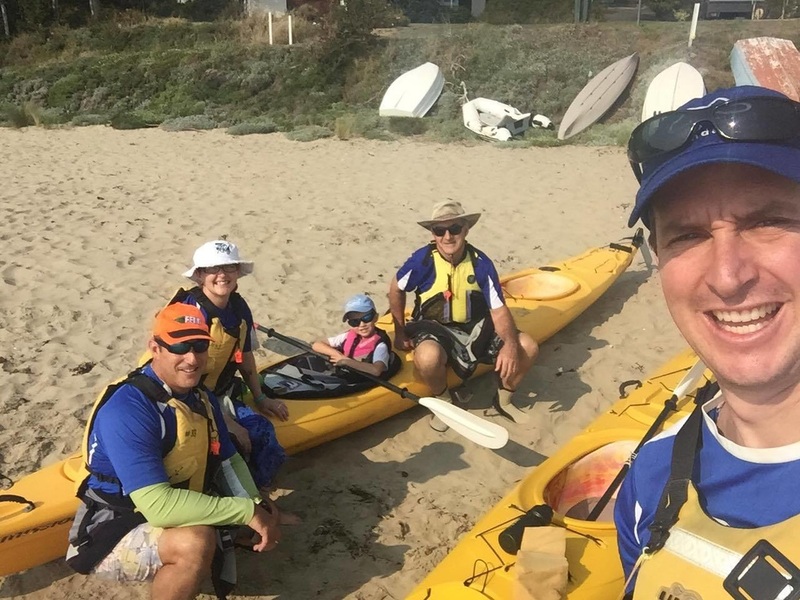 This proved to be a difficult section for the paddlers as they were hit by a gusty headwind that (much like the opposition to Marriage Equality) allowed them to make progress, but made them fight for every metre. When they finally landed at Sandy Bay, Tess's legs were more wobbly than Clive Palmer's financial empire, but they knew they had completed a mighty effort. Despite finishing some time after the cyclists, there was still plenty of food left for them. Not even my ravenous appetite for food- which rivals a reality TV personality's (a term I use generously) hunger for attention- was enough to put much of a dent in the enormous feast that had been put on. Between Jenny's amazing home cooking and a huge amount of delicious BBQ meat and salad donated by Kris and Pamela from Currency Cafe, we were extremely well looked after. It capped off a really nice day for everyone with a few useful lessons learnt for the organisers. Hopefully next year's event is as good as everyone is hoping. I for one am looking forward to it.